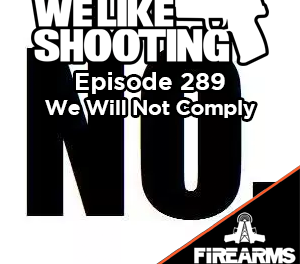 This week we’ll talk about Hiperfire triggers, scopes, sights, laser ammo, handloading, $25 shotguns, Numa Optics, Leupold and more. Shawn – I’m Shawn, I’m an instructor, reviewer, competitor and my medical alert bracelet says I have alzheimers… what’s this bracelet for? Aaron – Piece, clip or Max I swear to god! Lil: This week I hit the books – lots of studying to decide if I want to change from a 115 DTAC to a 105gr Berger bullet for my 6XC. Jeremy: Need sights for Jugernaut/M1A. Suggestions? Lil: (What I want) To begin handloading for my precision rifles here in California (following my recent purchase of .223 Federal Gold Match ammo). My letter to Santa included everything reloading! Lil: Brandon Webb plans to seek seat on NRA board this is interesting given some of his commentary this year on “compromise” related to gun laws. Read this article from his personal blog. This week: He-Man and the Masters of the Universe. He-Man/Prince Adam: Nick – 10mm Glock 20, what’s manlier than 10mm? Man At Arms – Shawn – MG industries hydra modular system. Quickly changes to tons of other calibers. Orco – Aaron – BREDA 30 designed by what appears to be drunk mechanics with a learning disability and it’s flaws go beyond looking like a ramped up tin can. It’s round was underpowered, it was uncomfortable to use and it had a feed system designed by a blind, chronic masturbating tree hugger. Evil-Lyn – Jason – Surgeon Rifles CSR – Perfect for wielding magical powers from a long way away. 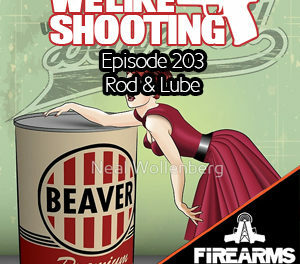 Shawn: thegunfeed.com – suggested by friend of the show Robert W.
What tips or tricks do you have for women shooters that is different from a male shooter? I have been trying to help my wife with shooting her Ruger 10/22 with red dot and adjustable stock. We go and shoot steel plates once a month. She is well endowed and is always struggling to shoulder the rifle and get a good sight picture. Do you have any suggestions on what she can do differently? What other tips are there about shooting stance and shouldering I should be helping her with. We also received some email feedback. Keep an ear out as we have added your listener questions to the queue. Keep an ear out as we have added your listener questions to the queue. If you like our show, please share it. Sharing is caring. 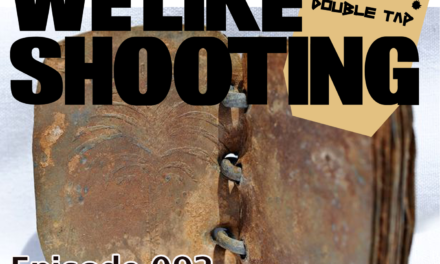 You can share http://welikeshootingpodcast.com/itunes. On facebook, twitter, google plus, wherever. What shows to listen to on FRN!